Near Wishka. Libya. 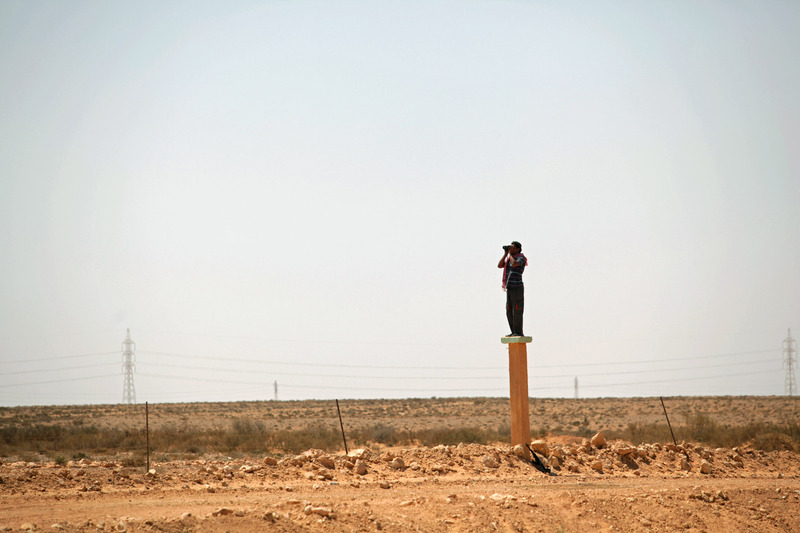 30th August 2011\nA rebel fighter scans the distance for signs of Gadaffi forces after an ambush in the desert 120 kms west of Sirt. Rebels and loyalist troops have been patrolling a vast stretch of no-mans land on the approach to Sirt as rebel forces muster their fighters for an assault on the town. Rebel leadership has given loyalsit troops a deadline until Saturday to surrender Sirt or else face attack.